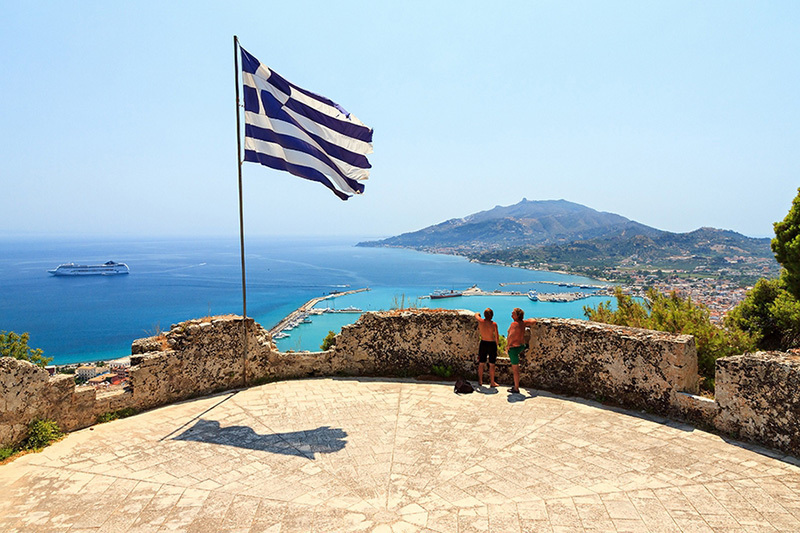 Are you planning to spend Zakynthos holidays in the Ionian islands this summer? We would agree that this is one of the best options for holidays in Greece! Zakynthos, known as “Zante” or “Fiore di Levante”, is an Ionian island with unique natural beauty. It is the southernmost island of the group and the third in area and population. 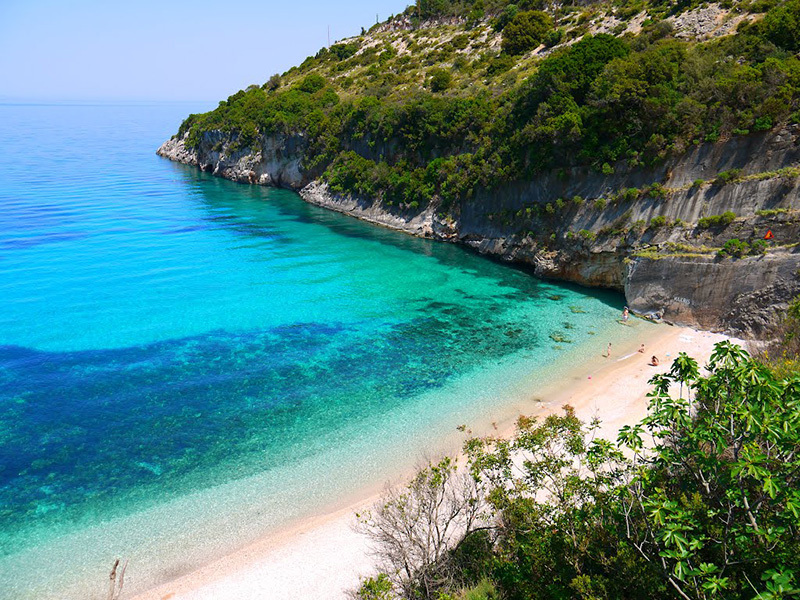 It is located south of Kefalonia and west of Peloponnese. Its privileged geographic location offers you the chance to visit easily the other islands of the Ionian or the opposite Peloponnesian coast. Looking for accommodation in Zakynthos? Check out Luxury Holiday Villas in Zakynthos! The Blue Caves are located in the northern part of the island and is one of the most famous sights. The unusual caves were discovered in 1897 and the largest is called Blue Grotto. To visit them, you should rent a boat or participate in one of the tours that are organized. 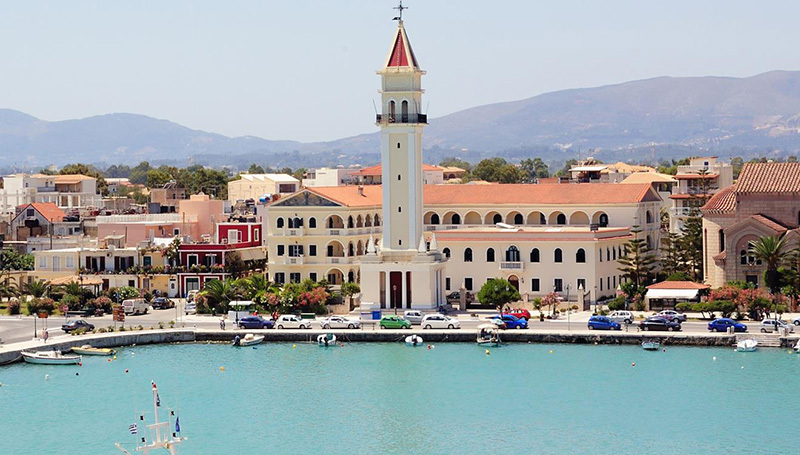 The closest point from where you can catch a boat is the port of Agios Nikolaos near Volimes. However, ships depart to the Blue Caves from many other places of the island. The colors in the caves are really impressive! It is really hard for somebody to believe in such beauty, unless he sees it. The sea area near the caves is ideal for snorkeling. Bochali is a beautiful area, which you can visit during Zakynthos holidays. It is located in the outskirts of the center and includes the charming villages of Akrotiri, Kryoneri and Varres. It is popular for the stunning panoramic views of Zakynthos from above, reaching the blue waters of the Ionian Sea and Peloponnese. The famous Zakynthian poet, Dionysios Solomos, inspired here and composed his most famous poem, the lyrics of which were later verses of the National Anthem of Greece. There are many cafes and restaurants to sit and enjoy the beautiful views. Here also lies the Venetian castle that was once the capital of the island. Do not forget to visit also the Naval Museum, which exhibits many artifacts from the Greek Revolution, the First and Second World War and provides a detailed description of the Greek Navy. The aim of the Marine Park of Zakynthos is to preserve the natural environment and the ecological balance of the marine and coastal area of Laganas bay and Strofadia islands. Caretta Caretta turtles, found in the Mediterranean, are the most important for the team of the Park. The particular Park of Zakynthos is the first of its kind in Greece and is an example for other areas in Greece, where complete and proper management is required. 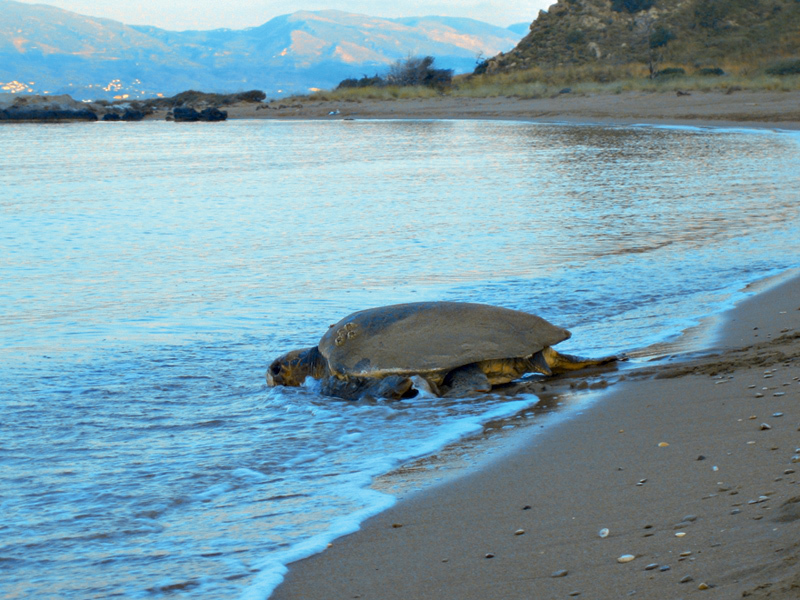 The National Marine Park protects the marine area of Laganas Bay, the nesting beaches of sea turtles, Keri Lake and the two islands of Strofades, 25 miles south of the island of Zakynthos. 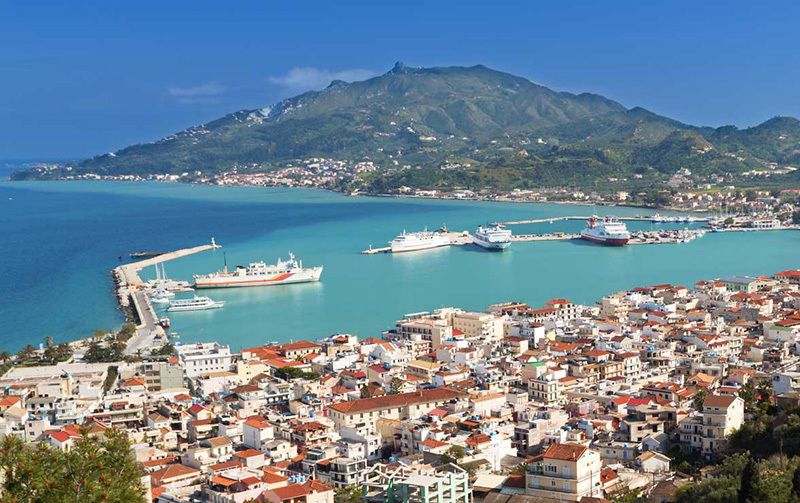 Zakynthos town is the capital and cultural center of the island, with many places of interest: the Byzantine Museum, the Museum of Solomos and Kalvos, the Church of St. Dionisios and St. Nicholas. 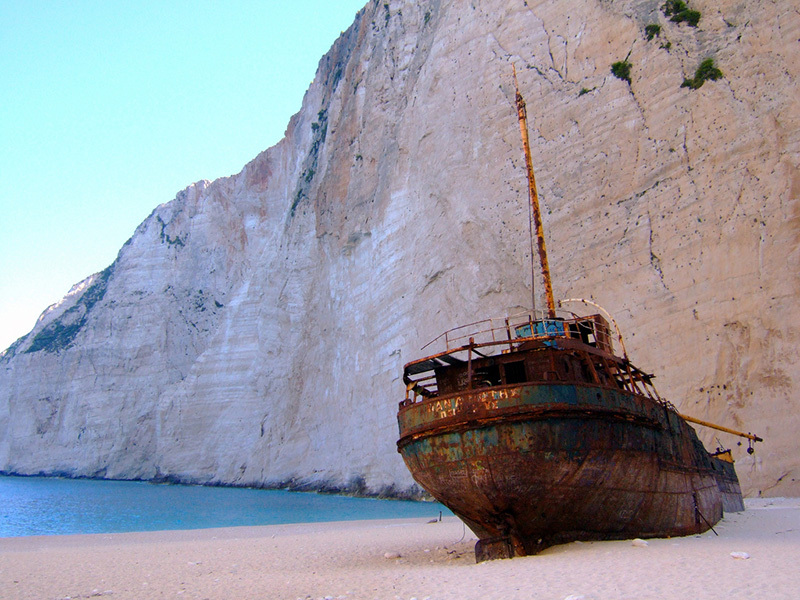 Navagio (shipwreck) beach is one of the most photographed beaches in the world. In many books and magazines is described as the best attraction of the island. 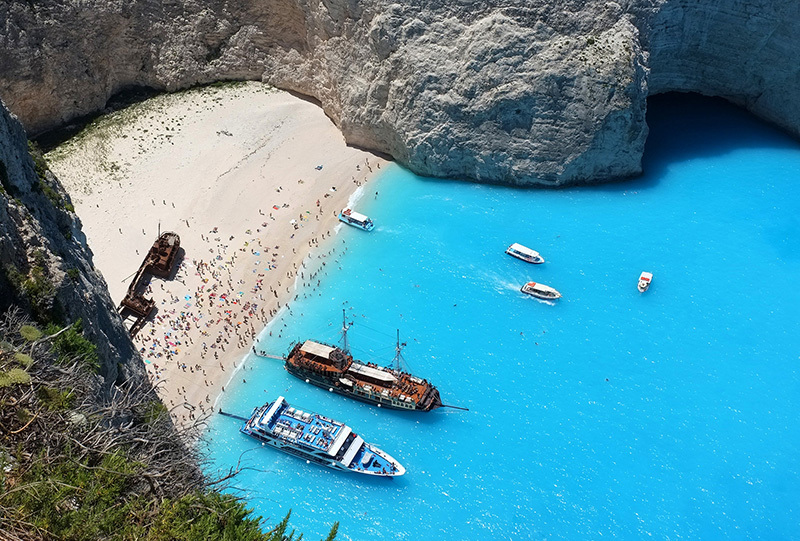 The beach is accessible only by boat, departing from different regions of the island, such as Zakynthos city, Alykes, Agios Nikolaos and Skinari. There is also a platform where you can go and see the beach from above. This platform is close to the village of Anafonitria. There are many signs to show you the way. In 1983, a ship carrying cigarettes and drinks in Greece, illegally, was chased by the Coast Guar. Due to the bad weather, the ship ran aground on the beach and stack on the sand. Thus, was created the Shipwreck. 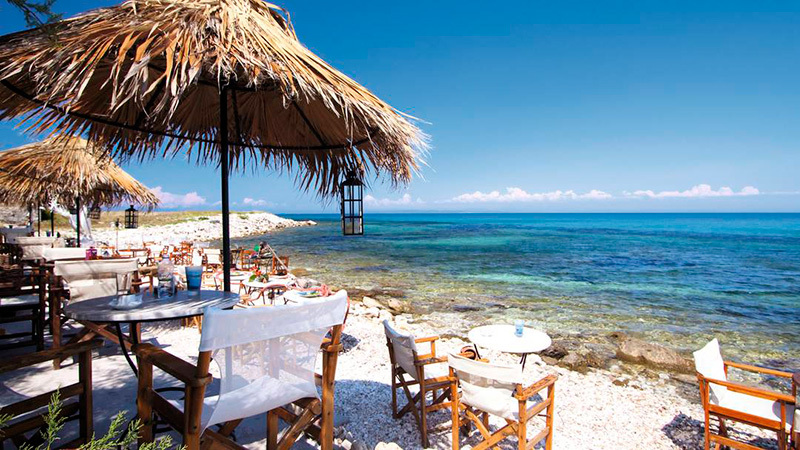 It is one of the places you must visit when you come to Zakynthos. The beautiful blue-green sea will amaze you! Laganas area is the most famous place on the island. 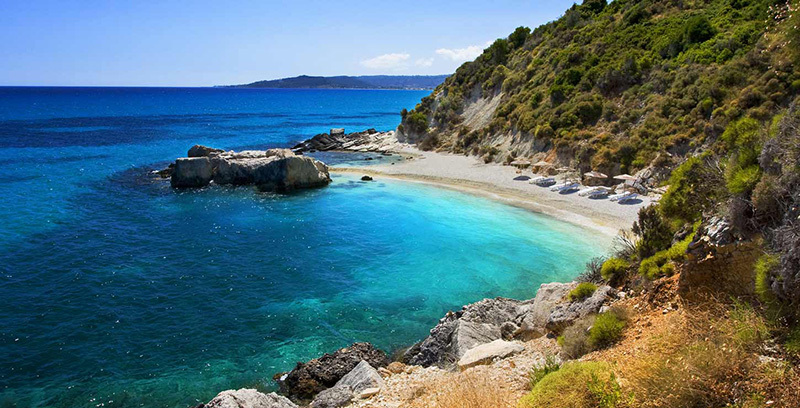 The sandy beach is about 9 km and is one of the longest beaches in Greece. At this beach, you can make some short trips by boat to see the sea turtle Caretta-caretta. Several bars, restaurants and taverns are very close to the beach. It is easily accessible with plenty of space for parking in the surrounding streets. The downtown area is a short distance away. It is the perfect place for couples and young people who want to have fun and spend unforgettable Zakynthos holidays. Xigia beach is a picturesque beach, unique on the island, as its water contains sulfur, giving to the beach a special aroma. The sulfur comes from the neighboring caves, so this beach is ideal for those who have pain in the legs and arthritis. The water of the beach contributes also to the renewal of the skin cells. Xigia beach is easily accessible by car and features a parking area. There are several good restaurants around and and shops on the beach. Makris Gialos beach is located north of the island. It is a quiet beach with crystal clear waters, picturesque landscape and pebbles. It features small caves, ideal for those who like exploring. The diving school is within walking distance, as well as restaurants serving traditional Zakynthian dishes. This beach is not suitable for families with young children as the water is deep, but it is ideal for those who want to go somewhere quiet to enjoy the summer sun. The island is famous for its unique “ladotýri”. It is made from goat and sheep milk and preserved in olive oil. 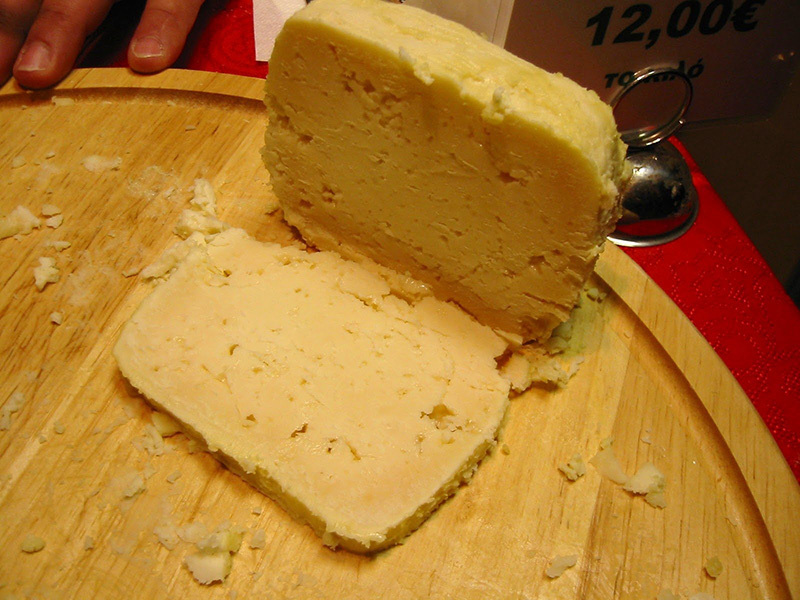 It has special, strong and salty flavor and belongs to the hard table cheese category. 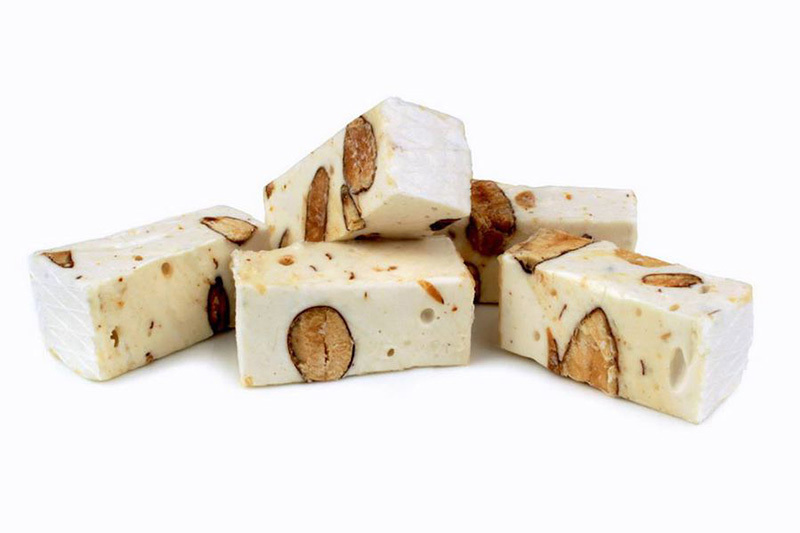 “Mantoláto” is a local sweet made from egg whites, almonds, sugar and honey and is often consumed during the carnival period. 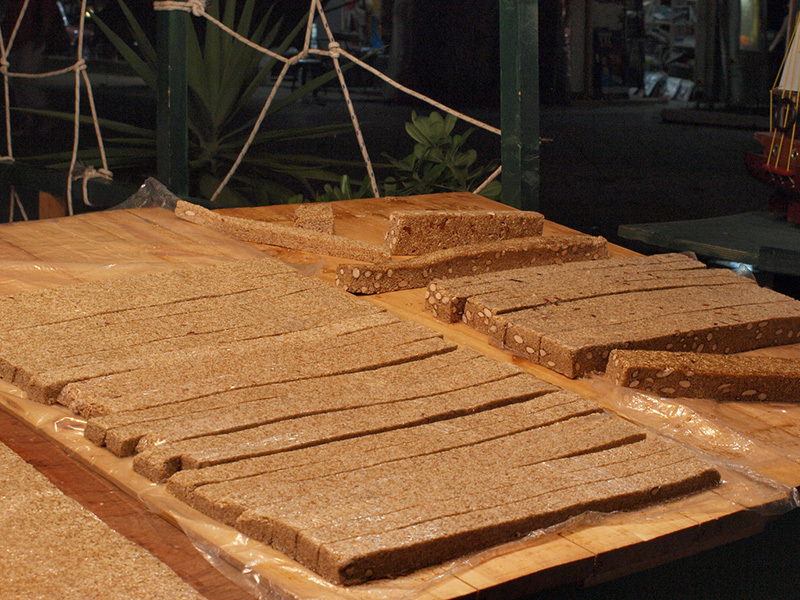 “Fytoúra” is another local sweet sold on benches, on the roadside, during the local festivals. 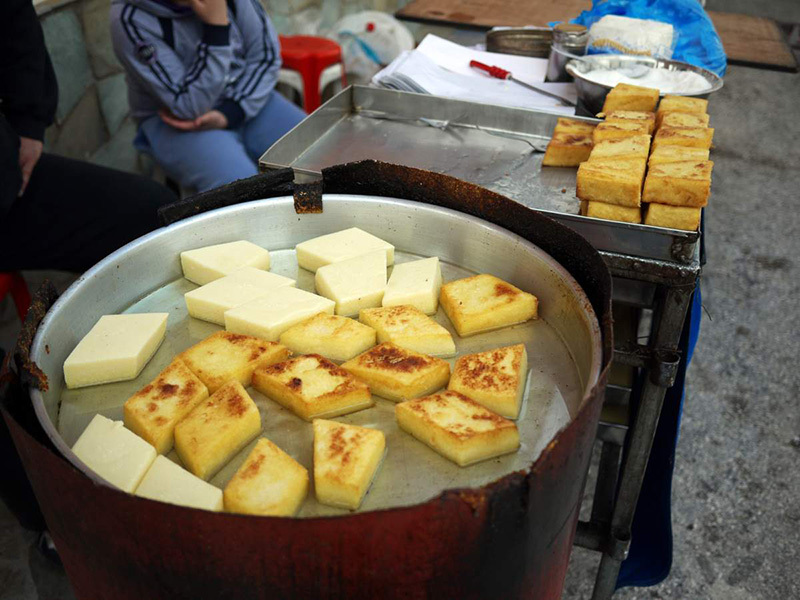 It is produced from semolina, fried and served sprinkled with sugar and cinnamon. It is a local sweet, made of sesame seeds, almonds and honey and you can find it in local shops or benches on the roadside during festivals. A ceramic pot would be a great thing to be taken as a Greek souvenir from Zakynthos. 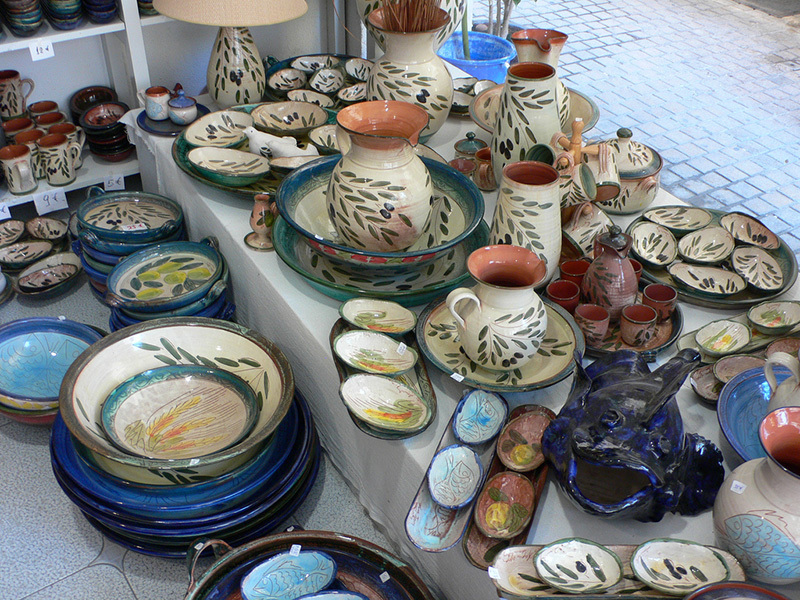 The island has many pottery workshops where artists produce beautiful handcrafted ceramics. Some laboratories give visitors the opportunity to watch live the process or even, create their own pots. The ceramic material is manufactured by the following procedure: They place it in a clay mold, they decorate it with pins and traditional tools, bake it in a kiln, color and then polish it. Those traditional hand methods, as well as the drawings coming from the Byzantine era, make each piece unique. 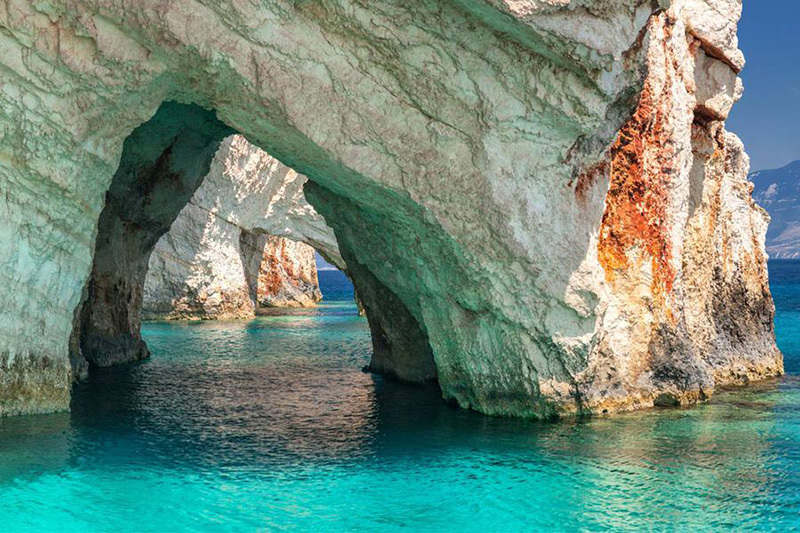 Zakynthos is the island of serenade and light opera. Here, all feelings are dressed with notes. How could anyone not love Zakynthos? It has everything: history, monuments, imposing mountains, lush forests and fertile valleys, endless beaches and turquoise waters. Book Zakynthos holidays and discover this earthly paradise.